It’s a sign of a great book when its grit and grime cover the reader to the point they need a shower when they finish the book. 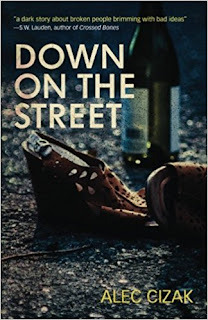 Down on the Street by Alec Cizak left me with not only the desire to scrub its grimy fingerprints from my body and mind, but to look into rereading Cizak’s short story collection, Crooked Roads, which initially put Cizak on my radar. Back in the 80s there was a comedy that explored what would happen if two normal guys became pimps and entered the seedy underworld. In the movie, hijinks occurred and hilarity ensued. Cizak handles the same plot line here, but keeps it real and we see what transpires when an unprepared man, Lester Banks, decides to pimp out his neighbor, as they both need money to stay in their apartment building. Hilarity does not ensue in this book, instead violence, gang rapes, crooked cops, and death threats reign supreme and the dirty streets come to life in a manner which has the reader racing towards the final denouement. Eventually, Banks finds himself in over his head and desperate to find a way out of this world. As anyone would, he is willing to sink to startling depths to extricate himself and is willing to sacrifice whatever, and whoever, he needs to in order to accomplish this. 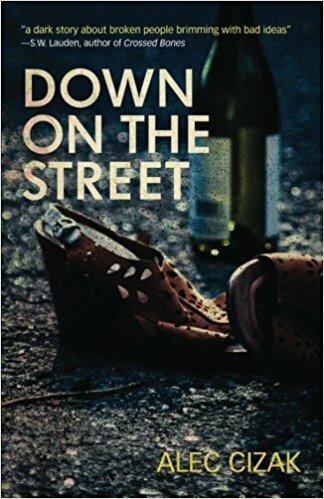 This slice of noir has a great storyline and tight editing which allows Cizak to flex his writing muscles and showcase his ability to keep it real. The plot gets pushed along at a rapid pace and the reality of the situation Banks finds himself in pulls the reader like a shot of heroin. The characters are unlikable, perfectly placed into the world Cizak creates.